Virtually all Macs currently in use have iChat, but few people use it or realize how easy it is to set up and have an audio -- or audio and video -- chat with friends and love ones. Chat from one side of the building to another, or from one continent to another. Set-up is simple, and this video shows how. Warning: this tutorial is 35 megabytes in size, 19 minutes in length. 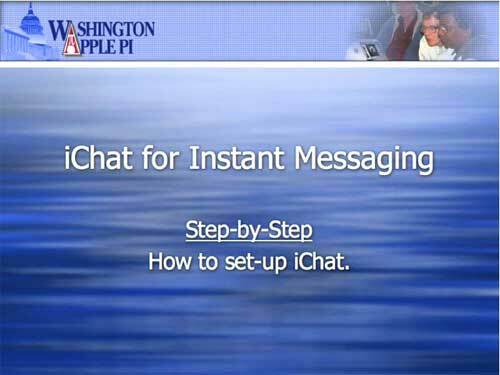 Right click or Control-click on the iChat tutorial link to download the movie to your computer.